Handmade on the Big Island of Hawai‘i, family-owned-and-operated Hawai‘i Titanium Rings pioneered the design and manufacture of titanium rings over fifteen years ago. The only company in Hawai‘i to start with a solid bar of the highest aerospace grade American-made titanium (stronger than steel, lightweight and hypoallergenic), the finest materials from around the world are hand picked to create a collection that offers fifty wood choices and over forty gemstones and minerals. Choose from a variety of endemic Hawaiian koa and other exotic woods. Each ring is designed to withstand daily wear, in and out of the water. 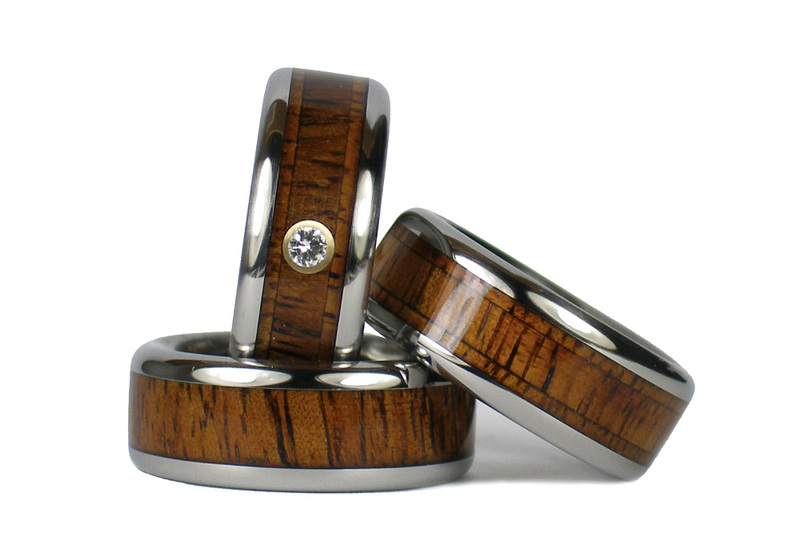 Hawai‘i Titanium Rings specializes in custom creations with hundreds of designs and endless possibilities.